Friday, 01. October 2010 Rhein Chemie’s Engineering Plastics division will present its technical expertise in the field of adhesives at the CPI 2010: "An Additive Approach To Extending The Performance Ranges Of Conventional Polyester, Polyurethane Adhesives". Rhein Chemie’s Engineering Plastics division will present its technical expertise in the field of adhesives at the CPI 2010: An Additive Approach To Extending The Performance Ranges Of Conventional Polyester, Polyurethane Adhesives. 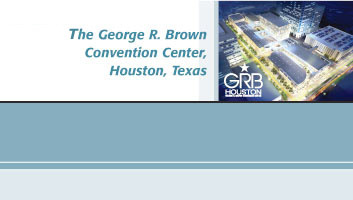 The Technical Conference will take place from October 11 to 13, 2010, at the Hilton Americas and George R. Brown Convention Center in Houston, Texas. Venue: Hilton Americas and George R. Brown Convention Center in Houston, Texas, Room 310 D, level 3. The Polyurethanes 2010 Technical Conference promises to provide attendees with a first look at cutting edge products and technologies. This year’s conference will provide the latest research, technical developments and business issues affecting your industry.